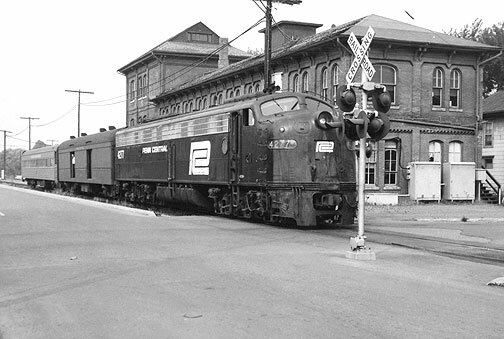 PennCentral #4277 E8A running past the Sunbury Train Station in August 1969 pulling ex-NYC and ex-PRR cars. 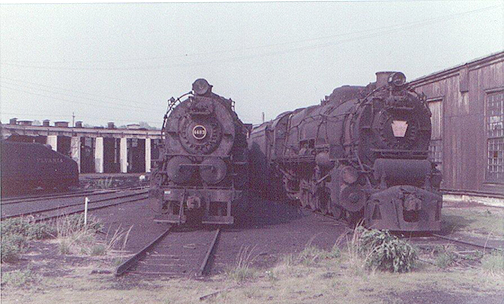 PennCentral running past the Sunbury Station in June 1969 with ex-NYC and ex-PRR cars. 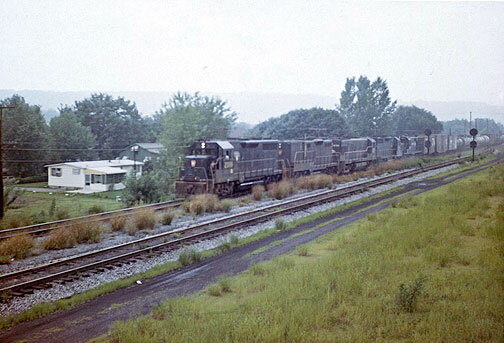 PennCentral running thru Sunbury in September 1969 with 5 ex-PRR locomotives. 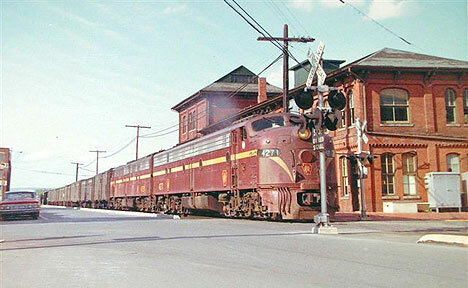 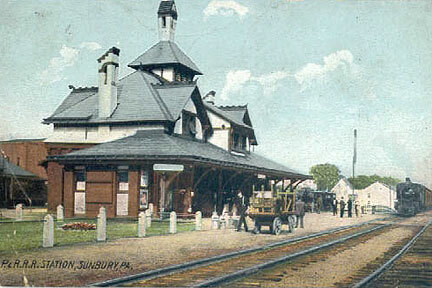 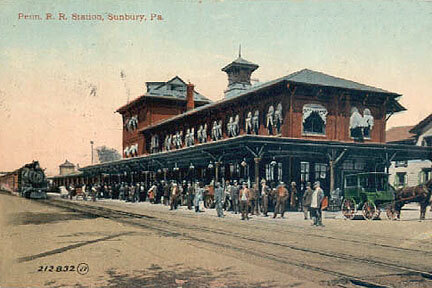 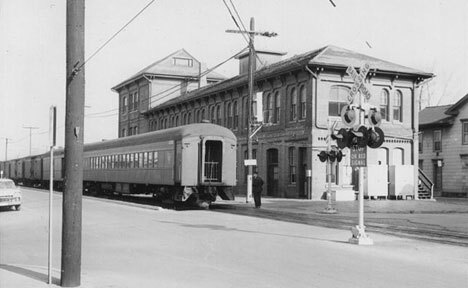 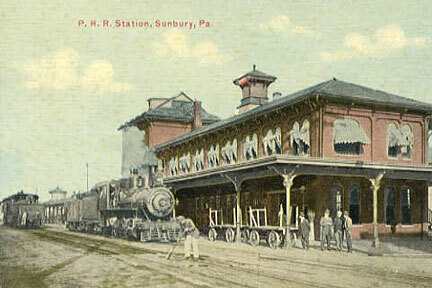 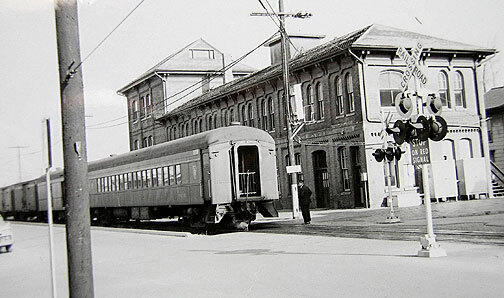 PRR Passenger train running thru Sunbury in December 1966. 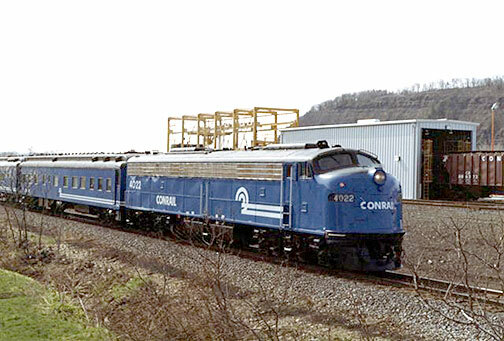 Conrail #4022 E8A and Business Train at the yard in Northumberland, PA in April 1982. 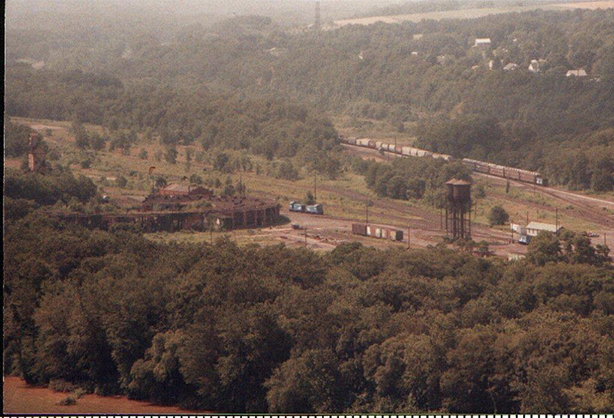 In the background you can see the new Cleaning Facility with a Conrail Hopper. 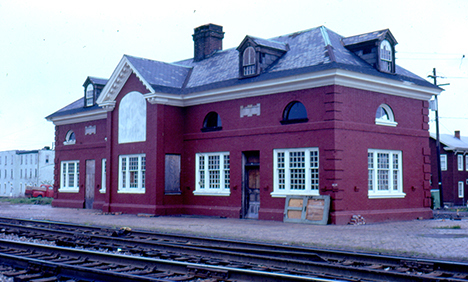 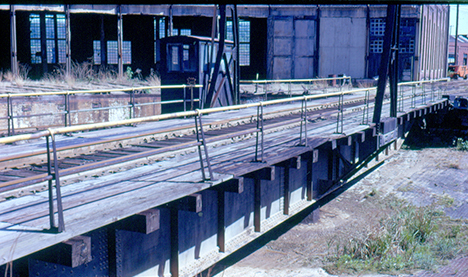 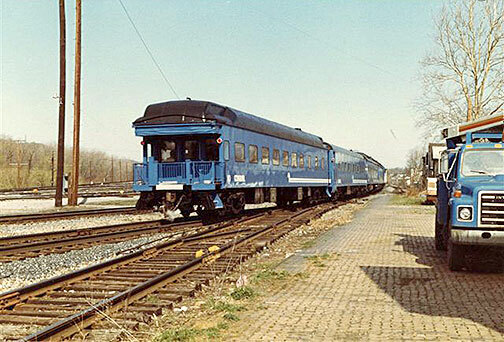 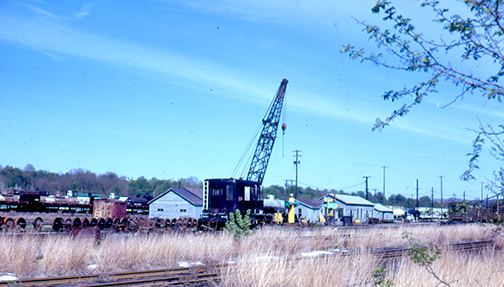 Conrail Business Train at the yard in Northumberland, PA in April 1982.. You can see the brick walkway that is in front of the Front Street Station on the right hand side. 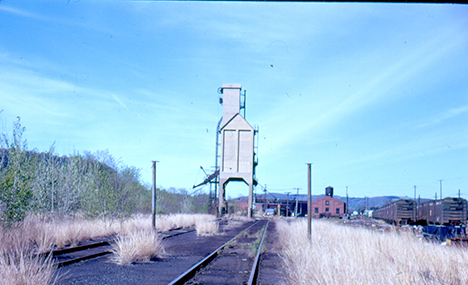 Northumberland Coal Tower during the end of the Penn Central days..
Northumberland Coal Tower during the end of the Penn Central days. 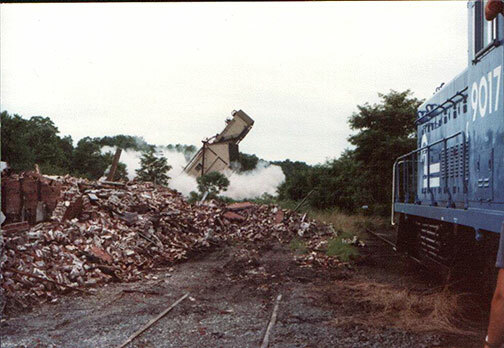 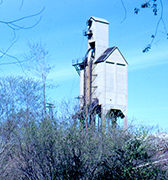 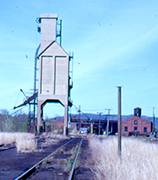 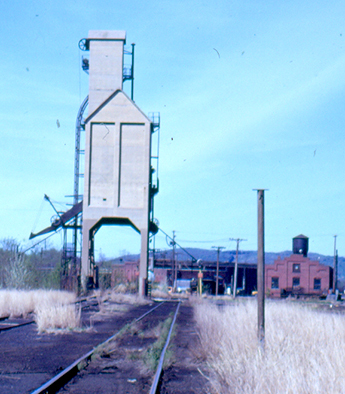 Northumberland Coal Tower being demolished on June 23, 1987. 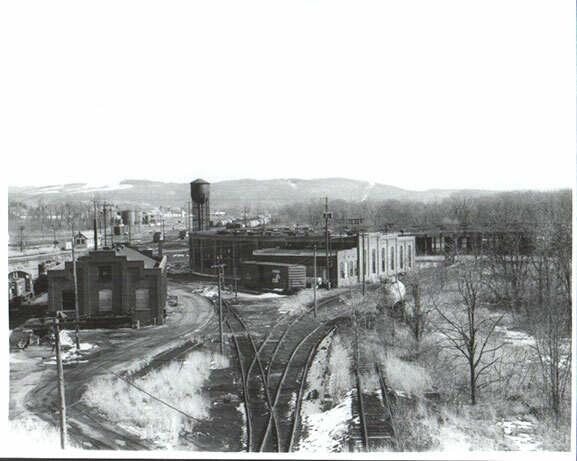 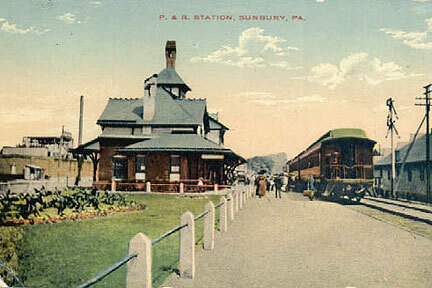 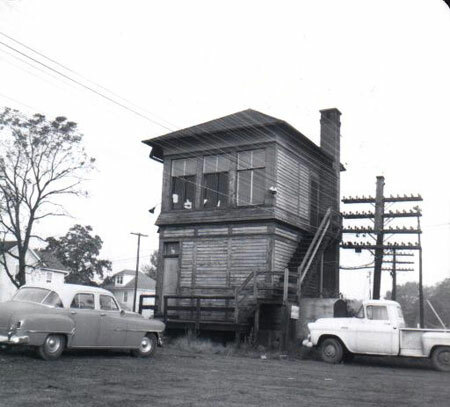 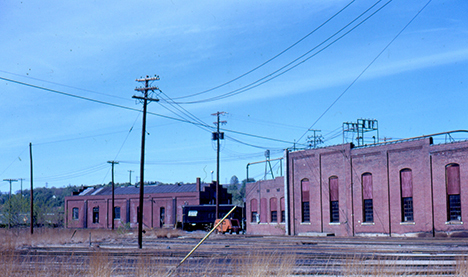 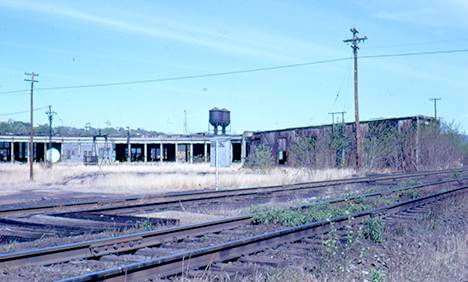 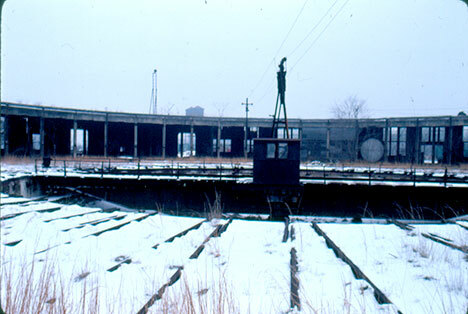 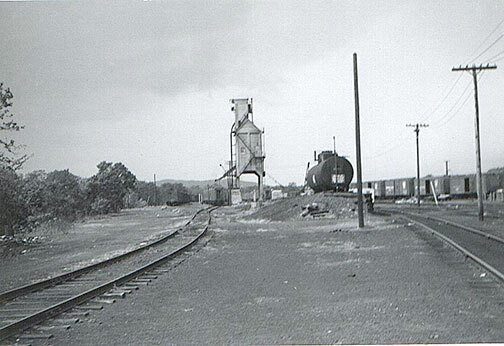 Northumberland Roundhouse and Oil House during the end of the Penn Central days. 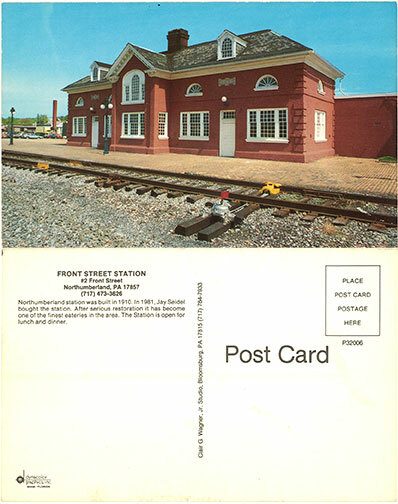 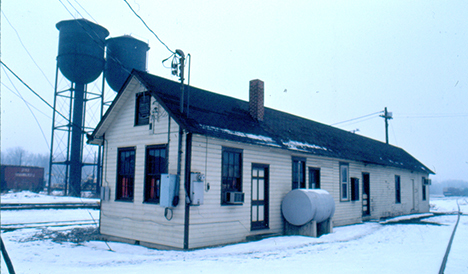 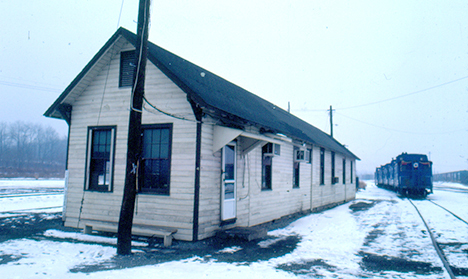 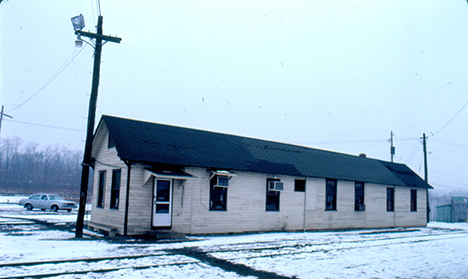 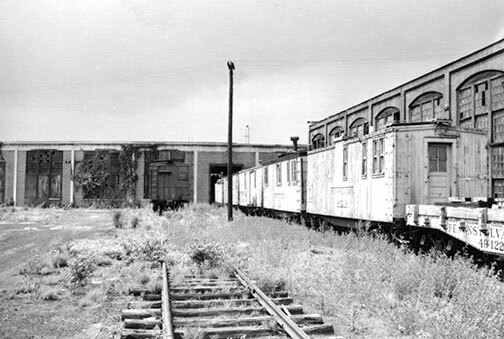 Northumberland Yard Office "8-O" in early 1980's. 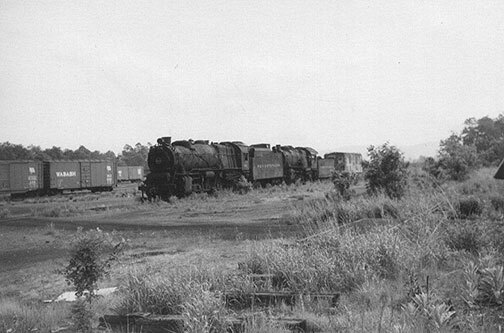 Northumberland Roundtable in erly 1980's. 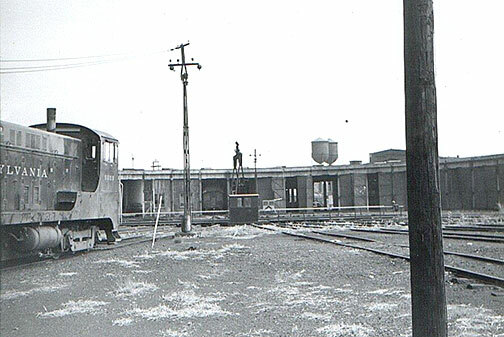 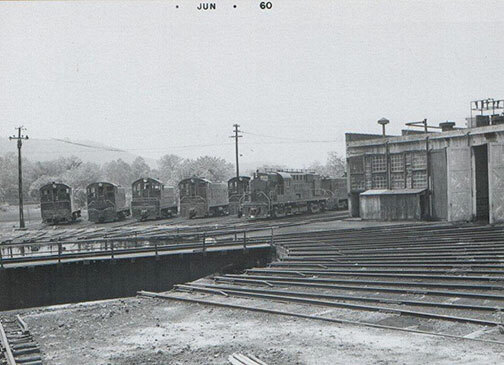 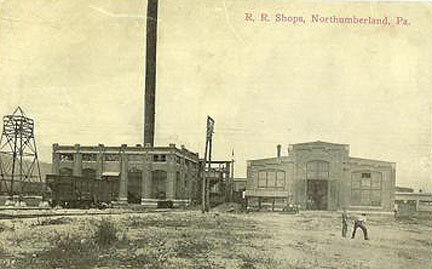 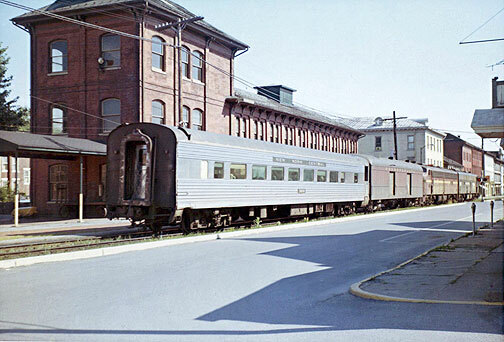 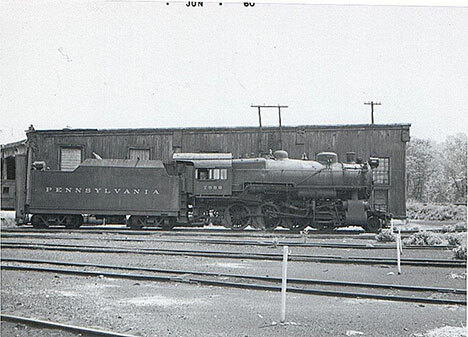 Northumberland Yard Car Shops during the end of the Penn Central days. 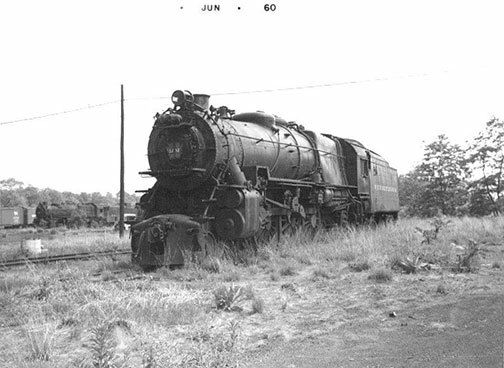 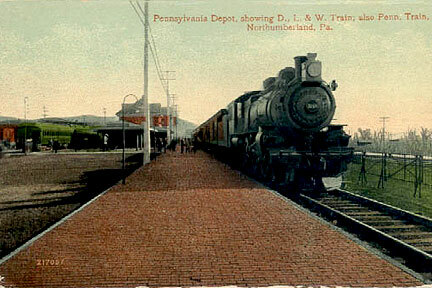 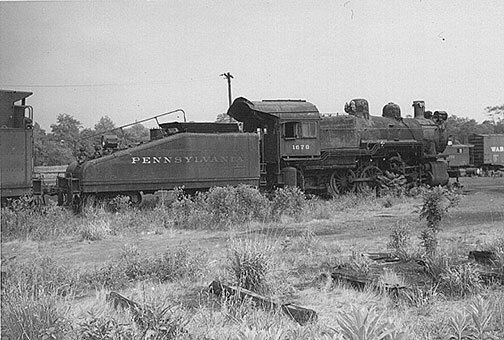 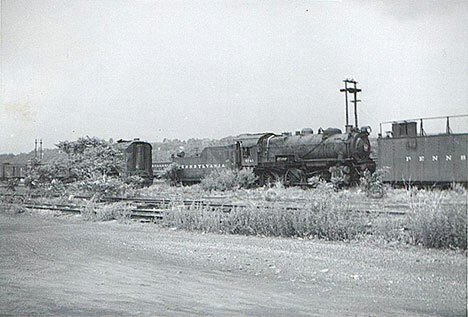 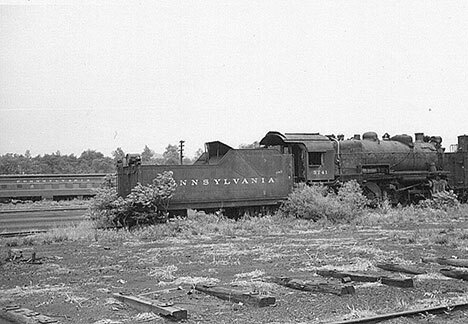 In the 1960's the Pennsylvania Railroad used the Northumberland Yard for storage of some of their Steam and Deisel Locomotives, as well as other other railroad equipment. 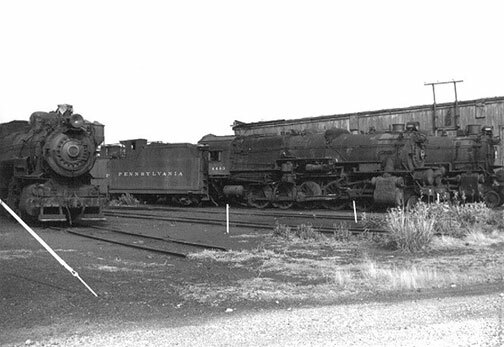 These photos show some of the equipment that was stored there during this time period. 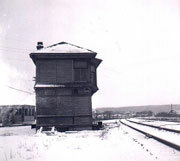 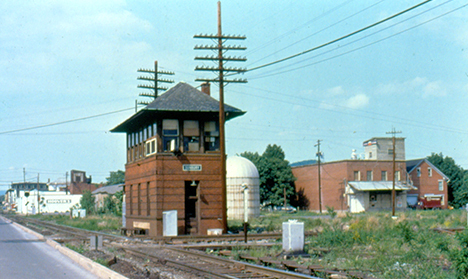 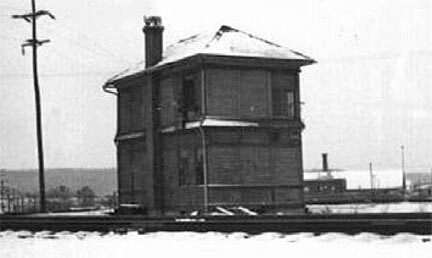 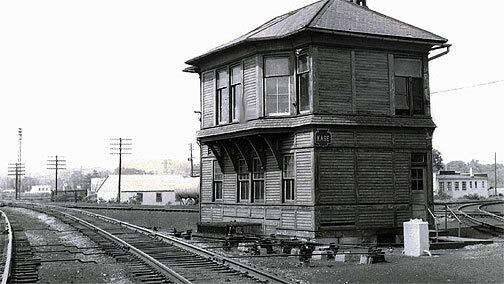 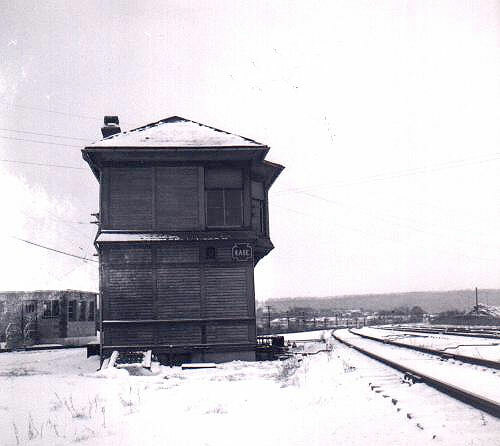 Tower at Milton where PRR crossed the Reading RR. 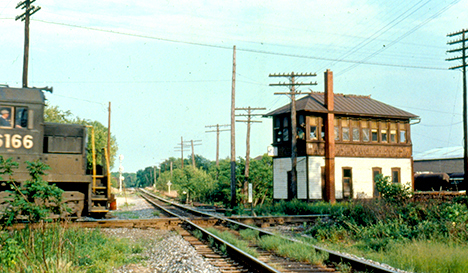 Photo is from May 1974. 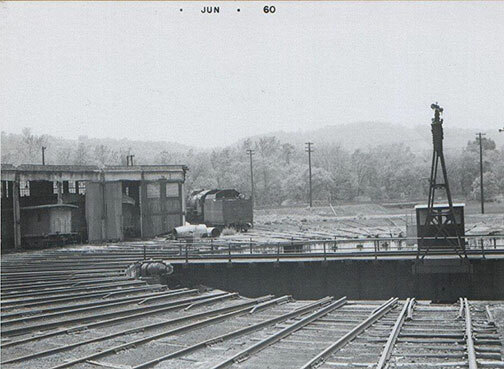 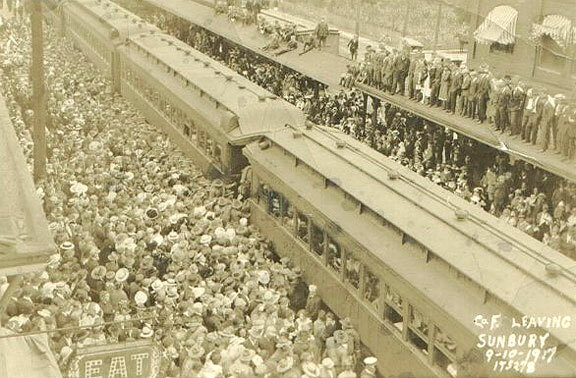 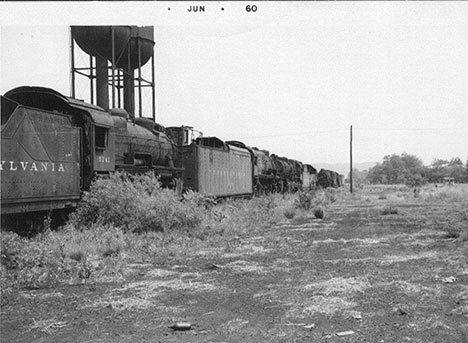 You can see the nose of Penn Central #6166 to the left.